If your church is looking to help members in your community by distributing cleaning kits/flood buckets to those in need, please send an e-mail to DisasterResponse@gnjumc.org. Can Your Church Store UMCOR Kits for 3-4 Months? Does your church have 200-400 sq ft to store UMCOR flood buckets? 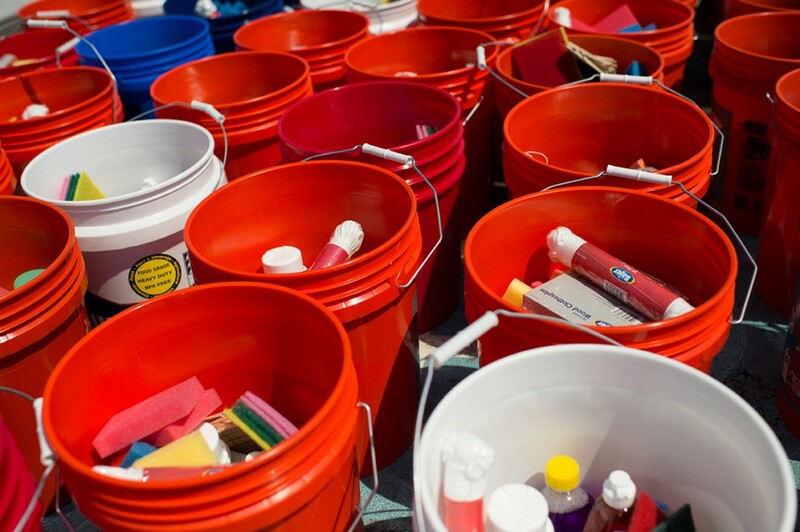 Does your church have a space where buckets and supplies could be stored? Please notify Tom O’Hearn via email at disasterresponse@gnjumc.org. Drop off cleaning kits at the following locations. Please contact the nearest hub below via email to schedule delivery of your UMCOR kits.